If you wanted to install WSS v3 / MOSS 2007 on your client OS, you had to use all sorts of tricks and tools. There was this tool from Bamboo Solutions. But now, you can simply install SharePoint Server 2010 on your client OS just by modifying a config file. 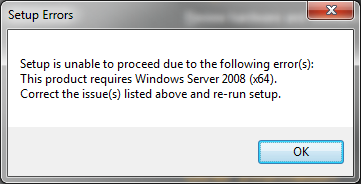 It seems that SharePoint Server 2010 is only compatible with Windows Server 2008 x64. But it’s not. 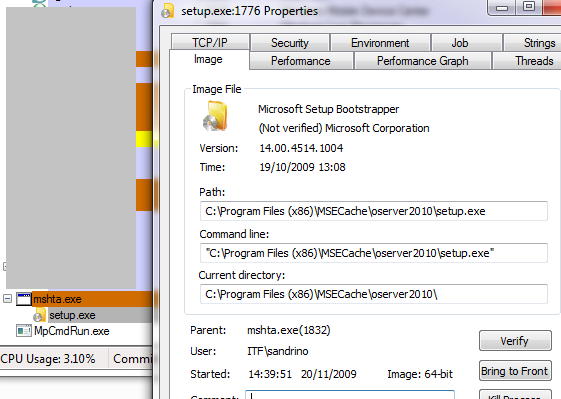 So it seems that the installer was unpacked in C:Program Files (x86)MSECacheoserver2010. You can browse to that directory now. Once you’ve modified the config file, you’ll be able to install SharePoint Server 2010 on your Windows 7 machine! Now you can have your development environment without even dual booting with Server 2008. Open IE > Tools > Manage Add-ons > Select “DivX Plus Web Player HTML5 <video>” Add-on > Click Disable > Restart IE. Otherwise try resetting your IE settings in the advanced tab. If the above not working with you, you can try by Open IE Dev tools (F12), change browser mode to anything , page will refresh, now go back and change it to IE9 and change Document mode to IE8 Standards.